Cal Ripken, Jr. was inducted in the Hall of Fame in 2007. 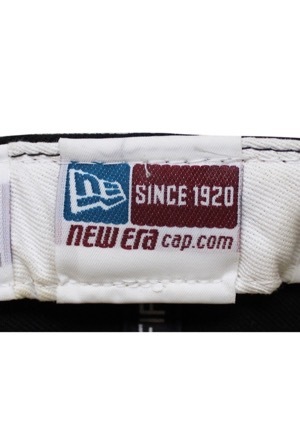 This cap was worn by the “Iron Man” in his final season. 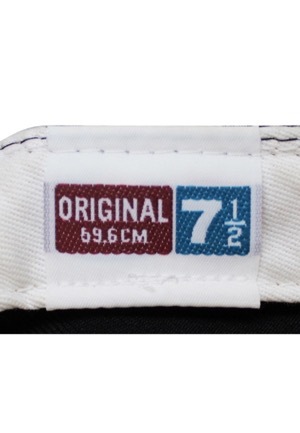 Inside on the rear sweatband is the New Era manufacturer’s tag. Adjacent is the MLB Authentic tag and a New Era size “7 1-2” tag. 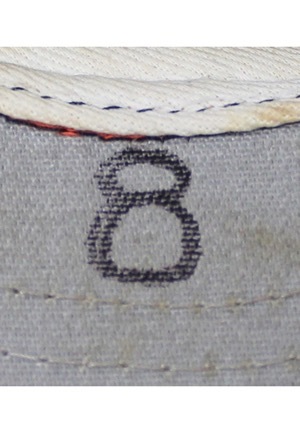 On the underside of the bill is the player number “8” written in black pen. 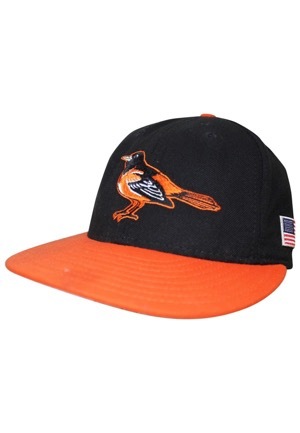 On the front of the cap is the team’s Oriole logo embroidered in white, black and orange stitching. On the back is the official “MLB” logo embroidered. On the left is an American flag embroidered in red, white and blue. 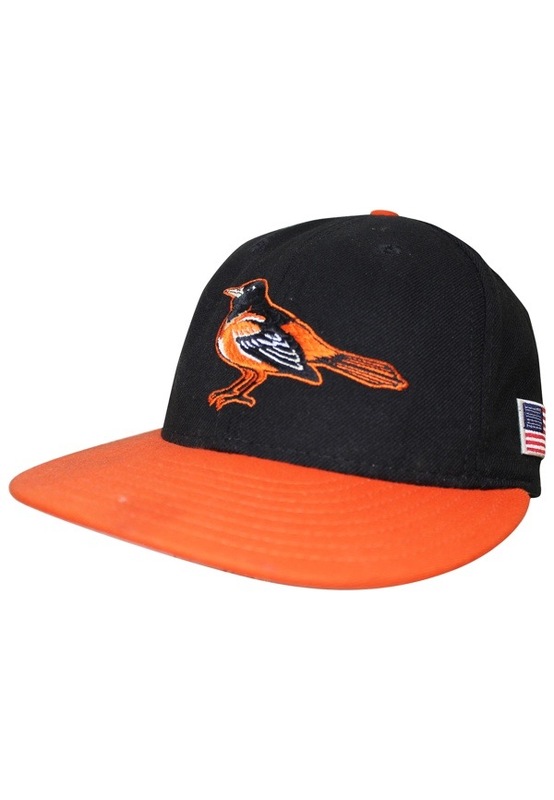 This cap is properly tagged, was presented to us as game-used attributed to Cal Ripken, Jr. and shows use.